Trailing Stop Universal MT5 provides the maximally flexible and convenient operation of trailing stop. 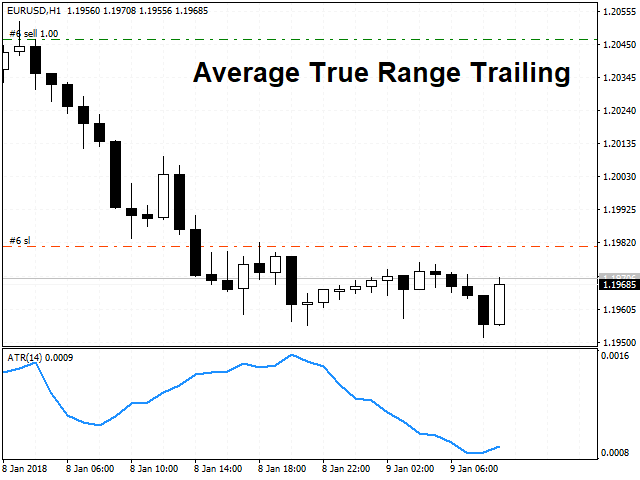 The product includes a general list of settings, which allow configuring trailing based on various indicators, including ATR, Parabolic SAR, Envelopes, Bollinger Bands, Ichimoku, Zig Zag, Moving Average, Fractals, Alligator. Each indicator is configured separately. 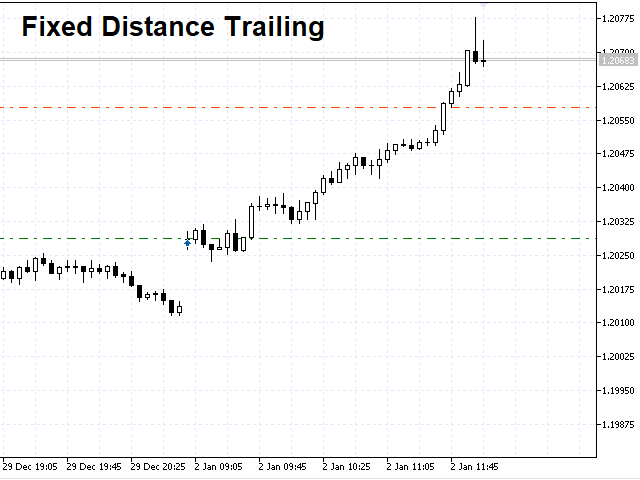 The tool also allows trailing positions based on reference prices of a selected candlestick: High, Low, Open, Close. Classical trailing stop with a fixed distance is also possible. Trailing can start immediately or after a position makes the specified number of profit points. 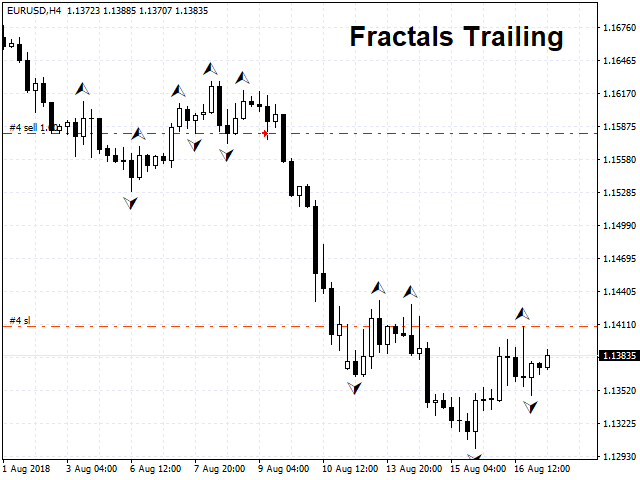 You can set the trailing step allowing to move the position to breakeven. Due to the large number of parameters, the utility provides very flexible work with trailing while maximizing the profit on long trends, and protecting it from price reversal. 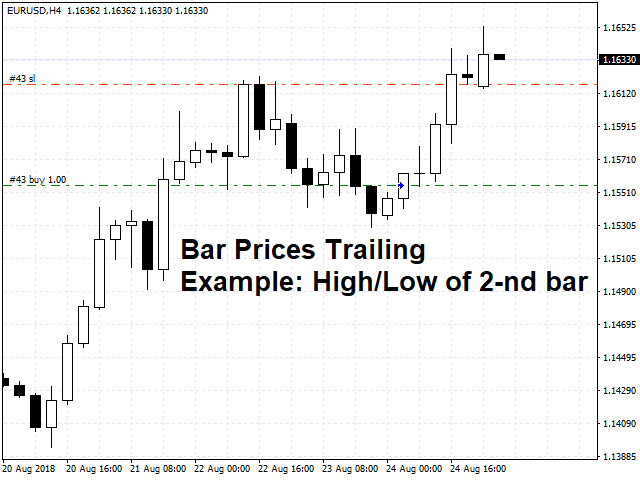 You can enable trailing using any indicator separately or several indicators at once, in this case trailing will be performed based on the indicator, which is closest to the market price. 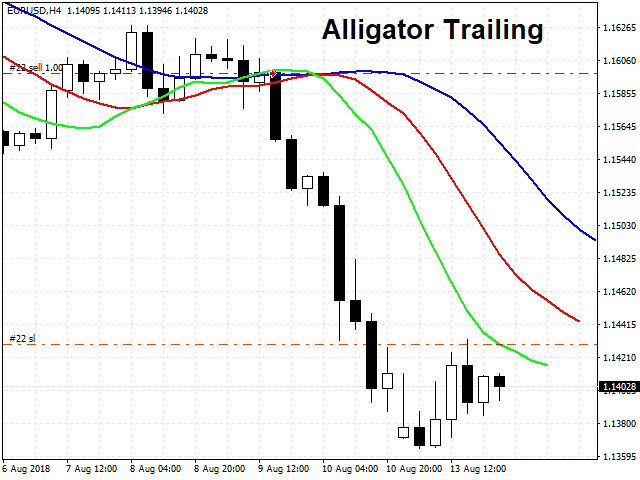 The tool can move the stop loss on all instruments or on the selected one. The Magic parameter enables operation together with other Expert Advisors, allowing the utility to manage their stop levels. Trailing Step - trailing step. Fixes based on user messages. Added parameters: ATR shift, Parabolic SAR shift. 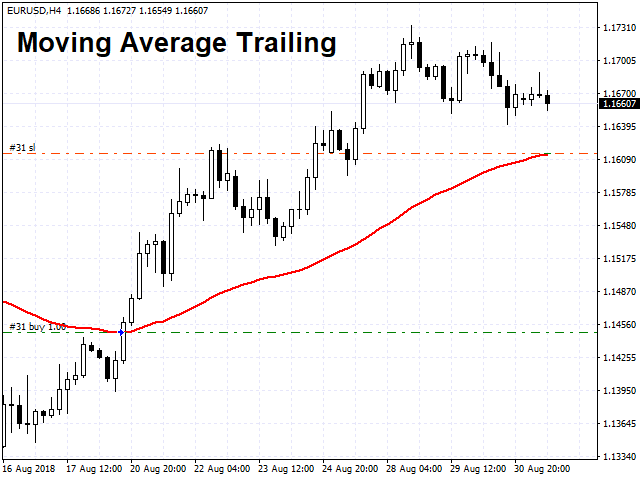 Added a trailing stop based on the ATR (Average True Range) indicator. 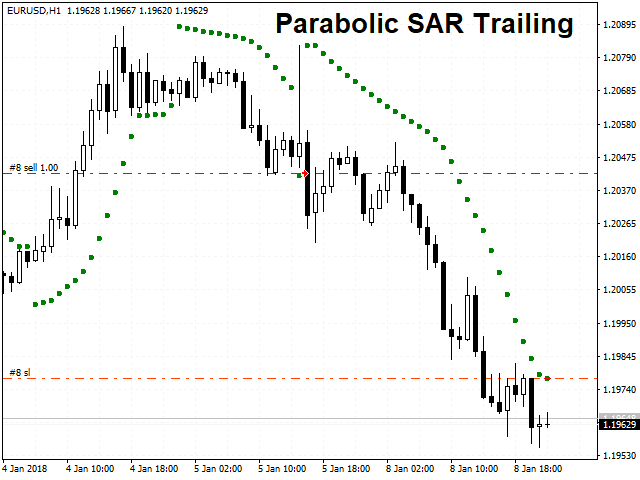 Added a trailing stop based on the Parabolic SAR indicator. 1. 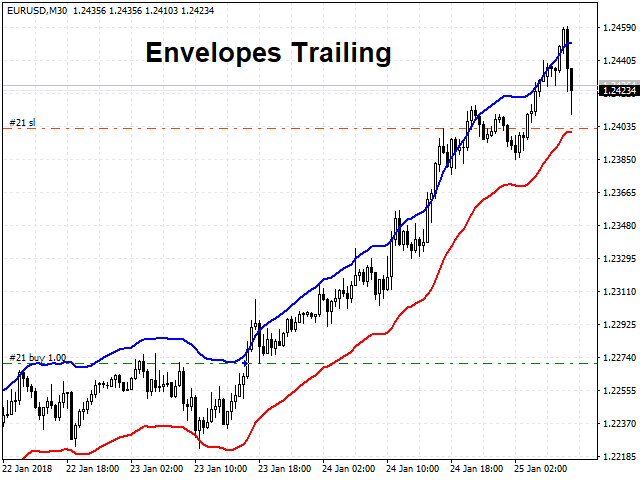 Added a trailing stop based on the Envelopes indicator. 2. Added a testing mode. It works only in the Strategy Tester. When the testing mode is enabled, trades are generated alternately for buy and sell. This allows you to see how any trailing stop option works. Code optimization. 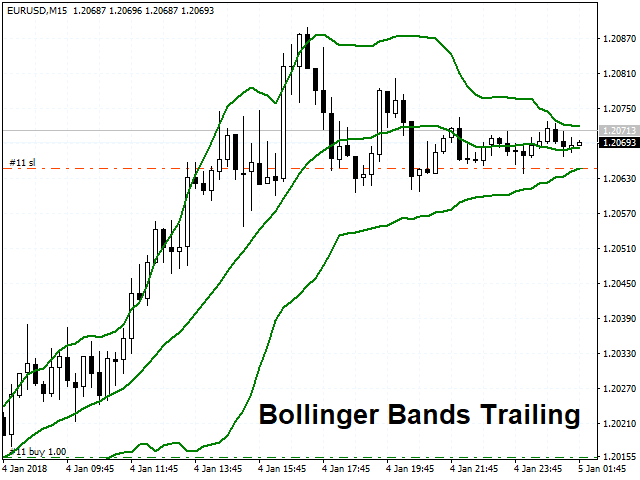 Added a trailing stop based on the Bollinger Bands indicator. Added a trailing stop based on the Ichimoku indicator. 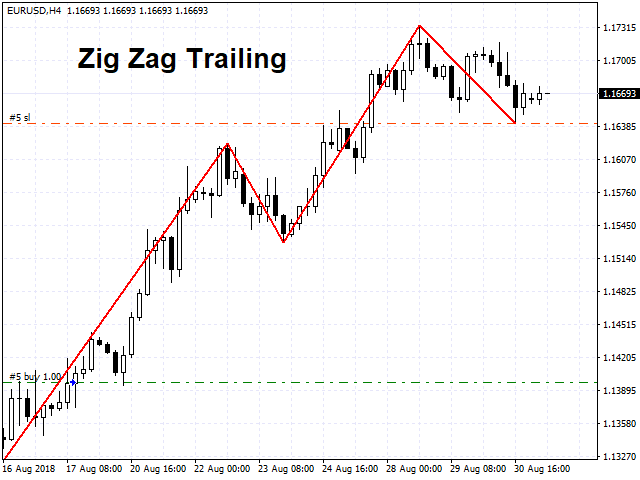 Added trailing stop based on indicator Zig Zag.